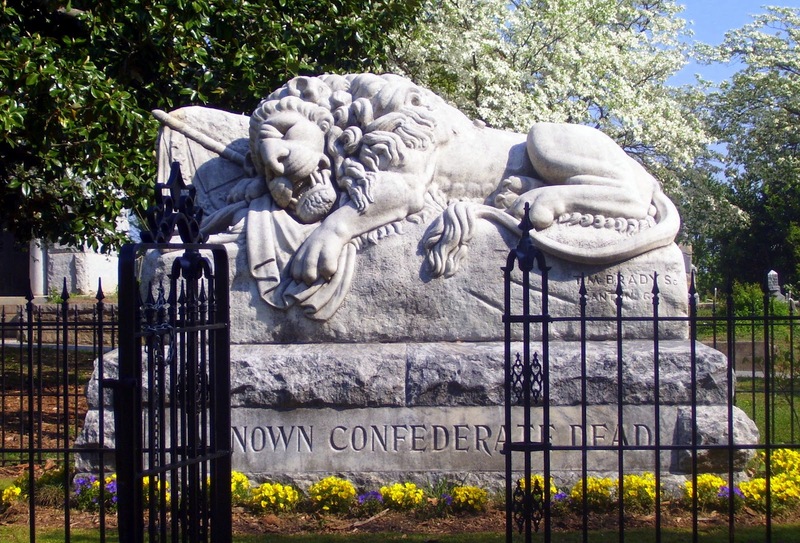 The sculptor was T. M. Brady of Canton, Georgia. 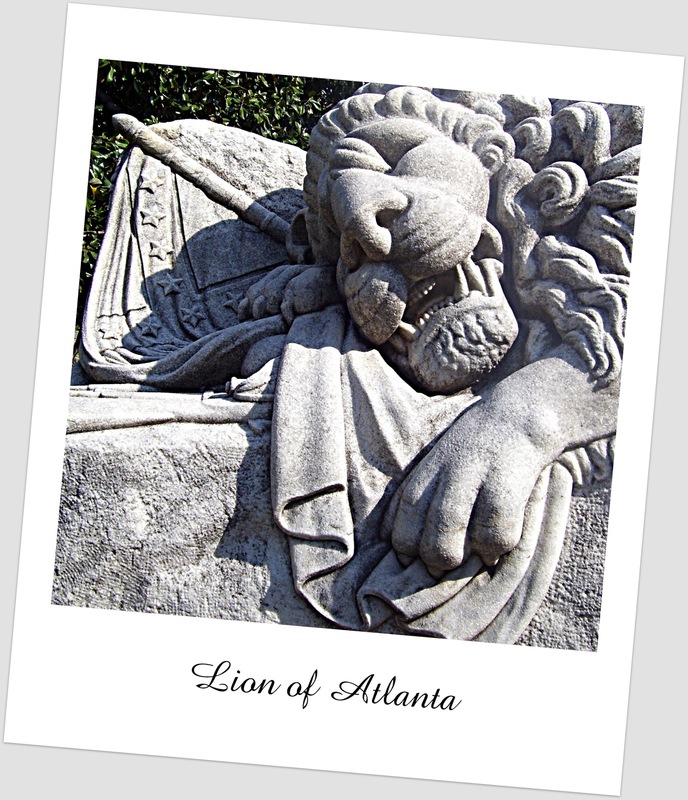 He was inspired by a suggestion that the monument emulate the Lion of Lucerne. 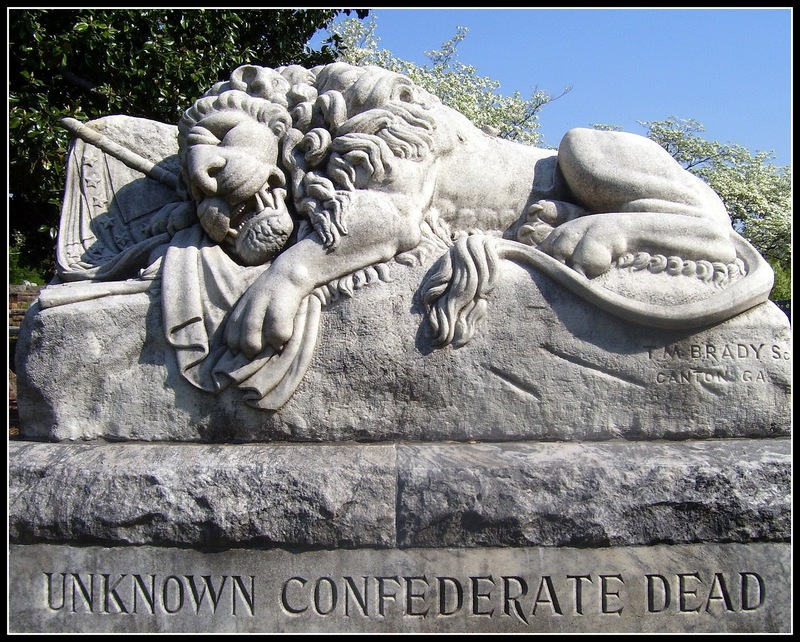 In tombstone symbolism, the lion represents courage, majesty, and strength. 1. Historic Oakland Foundation, A Guide to the Confederate Sections: Historic Oakland Cemetery, leaflet (N.p. : Georgia Division United Daughters of the Confederacy, n.d.), inside panel 2. Text co-written by the Historic Oakland Foundation and members of the Alfred Holt Colquitt Chapter No. 2018, UDC. Citing excerpts from The History of the Atlanta Ladies Memorial Association 1866-1946. This is one of the most beautiful sights in Oakland Cemetery, This is my most favorite place in Atlanta. So peaceful, beautiful and sometimes the most lively place in Atlanta, during events. Come on down and visit. Young Jimmie Stetson: "It is well with the boy."